SCOPE Middle East, an emerging network performance and security value-added distributor (VAD), has announced it has been appointed as Stormshield Network Training Centre (SNTC) for the Middle East. SCOPE Middle East is a leading specialty distributor providing advanced information technology solutions in the Middle East & North Africa Region. Copyright 2018 SCOPE. All right reserved. these products are developed using our Smart Wi-Fi technology designed to increase the range, reliability, and performance of Wi-Fi. Its critically acclaimed adaptive antenna arrays use state-of-the-art signal control techniques to automatically adapt to RF interference and enable real-time selection of the best signal path for each Wi-Fi transmission, thereby delivering the best connection possible. ZoneFlex, Ruckus’ flagship line of indoor-outdoor wireless LAN products, delivers the industry’s first centrally controlled Smart WLAN system with support for adaptive antenna technology. ZoneFlex fills a market gap between high-end, costly and complex WLAN switching systems and cheap, low-end consumer-grade solutions. ZoneFlex is a simple yet feature-rich WLAN system designed specifically for enterprises needing an easy-to-use Wi-Fi system that is reliable and extensible. ZoneFlex combines smart antenna array technology, wireless meshing and advanced security features at a low total cost of ownership. Ruckus Products Designed for simplicity and ease of use, the ZoneFlex line includes high-density ZoneFlex 802.11a/b/g/n Smart Wi-Fi APs and the ZoneDirector line of Smart LAN controllers for managing from six to 1,000 APs. ZoneFlex delivers strong security, reliable Wi-Fi performance, QoS, extended range, and unmatched multimedia support. For broadband carriers, MSOs and mobile operators, Ruckus has developed a line of SmartCell products that enable carriers to inject Wi-Fi capacity into their existing 3G/4G mobile infrastructures, easily integrating with existing core infrastructure services. These Smart Wi-Fi products include purpose-built 802.11a/b/g/n wireless mesh access points, point-to-point and point-to-multipoint Wi-Fi bridges, system-wide Wi-Fi management and the industry’s first small cell edge gateway with multi-RAN support, called the SmartCell 200. The SmartCell 200 is a purpose-built gateway platform that provides easy integration into mobile operators’ core infrastructure. SmartCell integrates unique functions not found in any single platform today including Wi-Fi gateway, 3G/4G data offload, backhaul, 3GPP tunnel termination (TTG/PDG), security, unified authentication/charging and multi-radio access support for Wi-Fi and cellular. Smart Mesh Networking to eliminate the costly, cumbersome task of pulling Ethernet cable wherever you want access points. Ruckus SmartCell™ Insight (SCI) is the industry’s first Big Data Wi-Fi analytics and reporting engine purpose built to help enterprises and service providers make informed business decisions regarding the operation of their Wi-Fi networks. It makes use of Big Data technology and storage innovations found in columnar database repositories, which greatly enhance the scale and performance of a system when used to process historical data. The Ruckus SCI platform transforms traditional network reporting into a vital business tool, collecting, analyzing, parsing, presenting, and storing unprecedented amounts of user, traffic, session, and location information. Data from the largest networks can be stored and retrieved for 5 to 7 years, or more. Armed with such a vast repository of data and analytics, service providers can now quickly and easily determine, like never before, who is on their Wi-Fi network, what they are doing, when they are doing it, and from where. This can be extended to provide location-based analytics and application recognition both of which will greatly enhance the value of this kind of technology. Accurate network planning is one of most critical steps to successful Wi-Fi deployment, while poor planning leads to over-spending on infrastructure – resulting in spotty coverage and unhappy users. ZonePlanner is ideal for designing and estimating Wi-Fi deployment headaches before the installation of any APs. With ZonePlanner, network managers can more easily and accurately plan, design, deploy and manage Ruckus Smart WLAN networks in any indoor environment. ZonePlanner integrates directional, high-gain antenna patterns derived from BeamFlex, the Ruckus-patented and award-winning smart antenna array, and combines them with AirMagnet’s industry-leading planning tool. Unlike other Wi-Fi APs on the market that use omni-directional dipole antennas to blindly radiate Wi-Fi energy in all directions, each Ruckus ZoneFlex AP integrates a high-gain directional smart antenna array that constantly focuses and directs Wi-Fi energy over the best performing signal paths to increase throughput and channel capacity while also significantly improving reliability and range. By combining these state-of-the-art RF controls with powerful new planning tools, designing a world-class wireless LAN has never been easier. The Ruckus SmartCell™ 8800 Series represents a completely new class of outdoor access point (AP) technology designed specifically to address the capacity and siting challenges mobile operators face in deploying HetNets in dense urban environments. It is the first high-performance dual-band 802.11n outdoor AP with integrated LTE (or 3G) small cell support. By integrating this capability into the SC 8800, the mobile operator can provide both a Wi-Fi and LTE (or 3G) underlay to offload heavily congested macro cellular networks in dense urban environments. Site acquisition is always an issue when deploying small cells, and this is made much easier by integrating a small cell into a Wi-Fi access point as the latter is an operator neutral solution that is preferred by most site owners. The SC 8800 can also provide wireless backhaul using Wi-Fi technology in the 5 GHz band. Other capabilities include support for AC power, power-over-Ethernet, integrated GPS receiver, integrated spectrum analysis, BeamFlex adaptive antenna technology, and much more. A key part of the Ruckus value proposition is our BeamFlex technology with integrated antennas, which steers RF energy toward the user that it is communicating with and away from all other AP’s in close proximity. This increases the gain by as much as 6 dB and the interference mitigation by as much as 15 dB. The latter is essential in most high-density deployments where interference is almost always the limiting factor. SmartCell 8800 access points can be centrally managed from the mobile packet core using the SmartCell Gateway 200, the industry’s most scalable and versatile 3GPP compatible WLAN Gateway. The SCG 200 also supports capabilities like Hotspot 2.0 which will be essential in the rollout of carrier-class Wi-Fi solutions. 2.4/5 GHz antennas are integrated for a minimal form factor, which is essential in many outdoor deployments. There is also support for external antennas. ​The SCG-200 offers one of the industry’s most scalable WLAN controller architectures, through a unique, dynamically scalable clustering model that maintains carrier-class availability and resiliency through N+1 redundancy and hot-swappable components. An SCG-200 cluster can support tens of thousands of Ruckus Smart Wi-Fi APs and hundreds of thousands of concurrent Wi-Fi subscribers, with an aggregate throughput of 20Gbps per 2RU’s of rack space. The SCG’s carrier-class element management system (EMS) can be integrated into an operator’s central NMS via standard data exchange interfaces, providing feature-rich management of access points, such as RF management, load balancing, adaptive meshing and backhaul optimization. The SCG 200 can provide Trusted WLAN Gateway functionality per 3GPP TS 23.402 (June 2012). Trusted WLAN Gateway functionality allows a Wi-Fi RAN to connect to a P-GW (or GGSN) in the mobile packet core over industry standard interfaces and using standard protocols like GTP and PMIP. This approach utilizes 802.1x/EAP for secure authentication and 802.11i for Wi-Fi airlink encryption. These protocols are supported on all smartphones, as they are required as part of the Wi-Fi Alliance’s WPA2®-certification program. The SCG 200 can also directly interface with mobile packet core AAA or HLR/HSS systems for client authentication and policy setting. The SCG 200 can also offload traffic directly to the Internet. This would usually be the case when the traffic is not SIM-based, and would not benefit from being backhauled to the mobile packet core. Examples here include tablets and laptops, which in most cases do not have cellular modems. Local breakout requires that selected services be performed at the SCG 200, most of which would normally be provided in the mobile packet core. ​ The SCG 200 provides an integrated carrier-class element management system (EMS) that can be used for rapid deployment and eliminates the need for separate and expensive management systems. The built-in EMS provides user-friendly full-fledged FCAPS support and can be easily integrated with existing OSS/BSS systems via a variety of interfaces ranging from traditional SNMP or CLI based interfaces to web programming friendly secure API based methods (RESTful JSON). A10 Thunder™ ADC product line of high-performance, next-generation application delivery controllers enables customers’ applications to be highly available, accelerated and secure. Thunder ADC is our premier ADC product line, delivering performance scalability up to 150 Gbps, the broadest range of form factors (physical, virtual and hybrid), and expanded system resources designed to support future feature needs. The A10 Thunder ADC product line is built upon A10’s Advanced Core Operating System (ACOS®) platform, with our Symmetric Scalable Multi-Core Processing (SSMP) software architecture that delivers high performance and a range of deployment options for dedicated, hosted or cloud data centers. ​Application availability for customer satisfaction: Enable your Web and key infrastructure servers to scale seamlessly to meet customer demand and ensure business continuity to maximize revenue and user satisfaction. Application acceleration for efficient operations: Provide fast and responsive service to your customers for competitive advantage and reduced infrastructure requirements for both application delivery and critical services, driving down CAPEX and OPEX. ​Security for compliance and risk reduction: Protect against advanced and emerging attacks for uninterrupted operations, brand protection, and revenue loss while meeting required regulatory compliance obligations for Payment Card Industry Data Security Standard (PCI DSS) and other regulations. A10 Thunder ADC delivers critical services in the most efficient hardware- and software-based form factors. Thunder ADC product line maximizes rack space and reduces power consumption (via optimal ADC CPU and memory optimization, infrastructure optimization and overall data center cooling). The First-of-Its-Kind Remote Wireless LAN and Wi-Fi Service Management Platform. ​R​uckus Wi-Fi s​ystems can be securely controlled, monitored, and upgraded from anywhere in the world, over the Internet or a private IP network — with FlexMaster. It’ a complete management platform for building and managing Enterprise and Carrier-Grade Wi-Fi Service Infrastructures. The Ruckus FlexMaster Management System is a fully-featured, intuitive, and complete, Linux-based managed service platform for configuration, fault detection, audit, performance management and optimization of hundreds of thousands of remote Smart Wi-Fi APs or Smart Wireless LANs (WLANs) from a single point. It provides a unique collection of automated and customized facilities not found in other management platforms such as an automated and customized super dashboard, trending reports and customized graphs, detailed client data for planning and troubleshooting and comprehensive events management. Fitting seamlessly into existing operational support systems (OSS), FlexMaster is ideal for telecommunication carriers, multi-service operators, and broadband providers looking to monetize Wi-Fi services in growing new services markets, including hotspots, hotzones, home spots, and IPTV services. FlexMaster offers tiered administration, making it the perfect platform for offering managed WLAN service or cloud-based WLAN management services. This allows end customers to remotely view, securely control, easily manage and automatically configure only their network infrastructure and assets. FlexMaster lets enterprises of all sizes securely control, monitor, and upgrade Smart Wi-Fi systems anywhere in the world, whether over the Internet or a private IP network. provides network-wide visibility by accessing, capturing, and brokering traffic from one or more full-duplex networks to multiple passive network monitoring and/or active security tools. Policy-based triggers, health checks, and fail-open / fail-closed configurability combine with filtering, grooming and load balancing to provide redundancy and high availability for in-band and out-of-band visibility. accesses, captures, and delivers traffic from one or more full-duplex networks to multiple active and passive network intelligence tools. Policy-based triggers, health checks, and fail-open / fail-closed configurability combine with filtering and load balancing to provide redundancy and high availability for in-band and out-of-band visibility. VSS Monitoring helps you get more from your network intelligence infrastructure. With our Network Packet Broker Systems, you can make better use of your analytical tools and security tools, simplify operational complexity and realize a higher ROI from greater cost savings and service quality improvements. By optimizing the network intelligence tools in your network and data centers, VSS Monitoring solves a variety of problems – simplifying the access of analytical tools and security tools to your network, accelerating the time to diagnose performance problems and security incidents, and making sure CAPEX and OPEX costs scale as the network grows. With our visionary, systems-approach to network security and monitoring environments, you get the flexibility of modularity to deploy just what you need and when, the completeness of support across the entire infrastructure of analytical tools and security tools, and the assurance of maximum reliability with automated, system-wide fault tolerance. vProtector functionality is available as dedicated hardware models, or as a solution comprising of one or more hardware chassis modules with vProtector mode on the Network Packet Broker. accesses and delivers traffic from one or more full-duplex networks to multiple network intelligence tools. Policy-based triggers, filtering, and load balancing combine with packet optimization and specific application features to provide redundant network intelligence system building for full LAN, WAN, or cloud-based network visibility. The Optimizer 2400 redefines the economics of monitoring infrastructure without requiring administrators to reinvent network operations. The Optimizer 2400 supports line-rate performance and network packet broker features at the price point of dedicated SPAN port aggregator switches. This price-performance combination allows you to build out your monitoring network cost effectively and without compromising the feature set you’ve come to expect from a VSS Monitoring network packet broker. The Optimizer 2400 provides dynamic, high-performance packet visibility, at line rate. The Optimizer 2400 is fully programmable, and provides the highly available operations needed to meet the demands of today’s monitoring infrastructure. The Optimizer 2400 supports management via a web-based interface, a command line interface, and vMC, providing a unified, single pane of glass into your management infrastructure. The Optimizer 2400 delivers cost-effective, comprehensive network visibility, meeting your performance management requirements and enabling improved network security. Bridging the gap between Gigabit and 10 Gigabit ethernet networks, each model of the Optimizer 2400 has four fixed 10G Fiber LC ports, and 20 SFP+ ports. The fixed media ports are factory configured for either inline or SPAN access. The fiber SPAN version is fully I/O configurable, while the fiber inline version is fixed, where the built-in network ports are inputs only and are completely passive. Mixed fiber variations are also available. Accesses traffic from full-duplex networks, making them available for network intelligence tools and are the foundation for Network Intelligence Optimization system building. All VSS’ TAP Series products (copper taps, fiber taps, etc.) are failsafe for 100% guaranteed network uptime. Features such as network aggregation, replication, regeneration, and L2-L4 filters provide a wide range of options for accessing Ethernet networks. Secure: Without an IP address, TAPs have no presence on the network which safeguards users’ security and performance monitoring tools. High Performance: Full line rate throughput, all layer 1 and 2 functionality, and low latency throughput to monitor output guarantee full visibility at line speeds. Reliable: Redundant power supplies and fast failover ensure your network never goes down. Scalable: Work independently or in conjunction with each other and any VSS Monitoring device as part of the VSS Monitoring Network Intelligence Optimization layer. ​The VSS Monitoring Management Center (vMC) is a client–server based management software application that enables the visualization and management of both multiple interconnected and standalone VSS network packet brokers (NPBs) through a central server. Each NPB within vMC can be administered remotely for updates and configurations, while providing reports at both system and granular per-port levels. vMC provides all of the configuration options available when managing NPBs individually including model specific settings and filters. Additionally, vMC offers several features that support the management of a system of VSS network packet brokers, also known as a vMesh architecture. Using VSS network packet brokers together with vMC, you can make better use of your monitoring and security tools, simplify operational complexity and realize a higher ROI from additional cost savings and service quality improvements. ​​​Packets Brokers (NPBs) and vSpool™ are the first-and-only solution that can deliver previously missed network data visibility to Big Data systems or storage infrastructure. vSpool is a hardware module with functionality that provides line rate packet encapsulation and transport to a storage server using an open format and protocol. Current support for encapsulation formats are PCAP and PCAP Next Generation, which supports enhanced metadata options. The vSpool module can be seamlessly inserted into the vBroker family of VSS products, which provide complete intelligent grooming capabilities, such as aggregation, filtering, slicing, de-encapsulation, defragmentation, de-duplication, and high data burst buffering. System write-to-disk speed and storage capacity should be appropriately matched to the anticipated throughput and duration of capture. As our world becomes more digital and “in the cloud,” it is a requirement that all IT and security professionals have complete traffic access and visibility over the network infrastructures that they manage and protect. VSS Monitoring is the only Network Packet Broker (NPB) vendor that gives professionals the power to access and see everything in any LAN and / or WAN environment. The vMesh™ architecture, VSS’ interconnect feature, enables users to build a redundant mesh network packet broker systems for complete traffic access and visibility. Supporting LANs, WANs (with our vStack over IP feature, available on select models), and cloud-based network infrastructure, VSS’ mesh technology is available on all vBroker™, vProtector Series, Distributed Series, and Finder Series models. Each NPB functions as a node in the network packet broker system vMesh architecture. In addition to allowing customers to design and build global network packet broker systems​ for accessing traffic, vMesh also allows for superbox design. Each node connects with up to 25​​6 other nodes as part of the vMesh, allowing any network infrastructure to have an up-to 10,000 port superbox consisting of 10/100/1000, 1G, and / or 10G ports. System auto-discovery and self-configuration also ensures that the vMesh architecture is never compromised. If one port or node fails, traffic is automatically redirected to an open pathway to ensure traffic delivery to the appropriately assigned analytics tool. VSS Monitoring provides global, unlimited, failsafe, and redundant traffic access for true packet broker optimization system building and scalable, dynamic high-port dense superbox design. In large networks, multiple A10 Thunder™ and AX Series appliances, physical or virtual, are deployed to enable business-critical systems to reach their users. While full control of A10 Thunder and AX Series devices can be achieved effectively by direct CLI, GUI or aXAPI out-of-the-box by default, the benefit of central and automated management increases as more appliances are added. A10’s aGalaxy™ network management solution enables a network administrator to manage any A10 device from a single point. aGalaxy is a robust network monitoring and network management solution that offers an intuitive interface that can be utilized to perform and automate a variety of essential tasks. For example, aGalaxy allows efficient centralized monitoring, upgrades, SSL certificate management, aFleX TCL script management, configuration, backups and restore. aGalaxy is available in a quick-to-deploy virtual appliance and can help offer immediate benefits and fast ROI, which increases as more appliances are used. A10 Thunder™ CGN product line of Carrier Grade Networking gateways provide high-performance, highly transparent address and protocol translation that allows enterprises and service providers to extend their IPv4 network connectivity, while simultaneously making the transition to IPv6. Thunder CGN is our premier CGN product line, delivering performance scalability up to 150 Gbps and with expanded system resources designed to support future feature needs. The Thunder CGN product line is built upon our Advanced Core Operating System (ACOS®) platform—a Symmetric Scalable Multi-Core Processing (SSMP) software architecture that delivers high performance and a wide range of deployment options for enterprise and carrier networks. ​Extend IPv4 connectivity: Today’s networks may be prepared to scale bandwidth capacity, but the rapid proliferation of Internet-connected devices has depleted the available IPv4 address space. Service providers, and enterprises have to meet the demand for connectivity expansion, but an immediate transition to IPv6 is not a realistic option. Carrier Grade NAT (CGN/CGNAT) enables customers to extend connectivity with standards-based IPv4 translation, preserving their existing IPv4 address allocation and their investment in IPv4-based infrastructure. CGNAT allows organizations to extend the lifetime of their current IPv4-based infrastructure, save cost and gain time to plan their IPv6 transition strategy. ​Broad transition options: The Thunder CGN product line provides a wide choice of technologies that enable a smooth transition to IPv6 networks and devices as they are deployed. The IPv6 transition technologies allow an organization’s applications and users to connect to the entire Internet, regardless of what IP version is used. There are many IPv6 transition technologies, which allow customers to serve different IPv6 network transition needs simultaneously. Interplay between the transition technologies on a single high-performance platform allows for cost-effective transition. Application reliability: The Thunder CGN product line provides the high connection reliability by using application layer gateways (ALGs) and other important features to ensure that applications can remain addressable and operate transparently through address translation. High availability (HA) allows established sessions to be maintained during failover completely unnoticeable to end users. The high reliability of Thunder CGN provides organizations a cost-effective solution to meet service-level agreements (SLAs) and user satisfaction goals. A10 Thunder CGN devices enable critical services in highly efficient hardware- and software-based form factors. The Thunder CGN product line maximizes rack space efficiency. The combination of high performance in a small form factor results in lower OPEX through significant lower power usage and cooling requirements. A10 AX ADC product line of high-performance, Application Delivery Controllers enable customers’ applications to be highly available, accelerated and secure. AX ADC is our original ADC product line, delivering performance scalability up to 115 Gbps. ​The A10 AX ADC product line is built upon A10’s Advanced Core Operating System (ACOS®) platform, with our Symmetric Scalable Multi-Core Processing (SSMP) software architecture that delivers high performance options for dedicated, hosted or cloud data centers. Application acceleration for efficient operations: Provide fast and responsive services to your customers for competitive advantage and reduced infrastructure requirements for both application delivery and critical services, driving down CAPEX and OPEX. ​​Se​curity for compliance and risk reduction: Protect against advanced and emerging attacks for uninterrupted operations, brand protection, and revenue loss while meeting required regulatory compliance obligations for Payment Card Industry Data Security Standard (PCI DSS) and other regulations. ​A10 AX ADC delivers critical services in efficient hardware-based form factors. AX ADC product line ensures that your rack space is maximized and your power consumption is reduced (via optimal ADC CPU and memory optimization, infrastructure optimization and overall data center cooling). A10 AX CGN product line of Carrier Grade Networking gateways provides high-performance, highly transparent address and protocol translation services for service providers to extend their IPv4 network connectivity, while simultaneously making the transition to IPv6. AX CGN is our original CGN product line, delivering performance scalability up to 115 Gbps. The AX CGN product line is built upon our Advanced Core Operating System (ACOS®) platform, with our Symmetric Scalable Multi-Core Processing (SSMP) software architecture that delivers high performance for enterprise and carrier networks. Extend IPv4 connectivity: Today’s networks may be prepared to scale bandwidth capacity, but the rapid proliferation of Internet-connected devices has depleted the available IPv4 address space. Service providers, as well as enterprises, have to meet the demand for connectivity expansion, but an immediate transition to IPv6 is not a realistic option. Carrier Grade NAT (CGN/CGNAT) enables customers to extend connectivity with standards-based IPv4 translation, preserving their existing IPv4 address allocation and their investment in IPv4-based infrastructure. CGNAT allows organizations to extend the lifetime of the current IPv4-based infrastructure, save cost and gain time to plan their IPv6 transition strategy. Broad transition options: The AX CGN product line provides a wide choice of technologies that enable a smooth transition to IPv6 networks and devices as they are deployed. The IPv6 transition technologies ensure that an organization’s applications and users can connect to the entire Internet, regardless of what IP version is used. There are many IPv6 transition technologies, which allow customers to serve different IPv6 network transition needs simultaneously. Interplay between the transition technologies on a single high-performance platform allows for cost-effective transition. Application reliability: The AX CGN product line provides high connection reliability by using Application Layer Gateways (ALGs) and other important features to ensure that applications can remain addressable and operate transparently through address translation. High availability (HA) ensures that established sessions are maintained during failover and the end user is unaware that anything has happened. The high reliability of AX CGN provides organizations a cost-effective solution to meet service level agreements (SLAs) and user satisfaction goals. A10 AX CGN devices enable critical services in efficient hardware- based form factors. ​The AX CGN product line also ensures that your rack space is used efficiently. ​​​​​The combination of high performance in a small form factor results in lower OPEX through significant lower power usage and cooling requirements. RJ 45 connector is the core element contributing to the performance of the LCS² system. You can obtain a perfect connection within a few seconds guaranteeing an optimum performance of the link from the patch panel to the RJ 45. To ensure total coherence of its LCS² cat. 6a, cat. 6 and cat. 5e systems, Legrand offers a range of 4 twisted pair cables in the four types: U/UTP, F/UTP, S/FTP, SF/UTP. The new LCS² Fibre optic drawer gives a better comfort in installation and maintenance. Reinforcements facilitating the opening and closing, end stop inclined at 30° for complete accessibility, coiling the fibres ensured by the in-built coiling accessories. The new LCS² racks offer full cable management for optimizing your network performance. In addition to the support strength, the LCS² cable management systems provide flexibility from the system design stage through to any future extensions. Designed for complete accessibility, the new LCS² server enclosures offer complete accessibility not only via the doors and panels, but also through rooftop pre-cuts and opening of the enclosure below. LCS² wall-mounting cabinets can be fitted anywhere where maintaining aesthetic quality is very important. The removable side panels and flexible cable entries (in the fixed cabinets) facilitate access for quick installation and easy maintenance. With the new LCS² zone distribution boxes connected to the Arteor feedthrough sockets, the result is complete flexibility. The connections close to the workstation are centralised, copper and fibre optic are in a single box, etc. and the LCS² performances are guaranteed. In the technical room, in a false ceiling or in the floor boxes and desktop multi-outlet extensions, it is necessary to identify the special networks at a single glance. Video surveillance, access control, adjusting the air conditioning, sensitive devices, etc. The Arteor LCS² sockets have a coloured cover, consistent with high-current sockets. Wi-Fi access points can be fitted anywhere where unrestricted access to the computer network is required. They can be fitted just like the RJ 45 sockets and on any supports. The stability of performance and the durability of products are guaranteed. Faster performance. Half the bandwidth. The Blue Coat CacheFlow appliance is a high-performance web caching solution designed to help service providers save significantly on bandwidth and accelerate the delivery of rich Web 2.0 content, including video. CacheFlow easily scales to support more users and greater traffic volumes over time, plus provides built-in tools for web traffic reporting and filtering to protect users. With CacheFlow, you don’t have to keep buying expensive bandwidth to meet performance goals. Using CacheFlow, you can dramatically cut infrastructure costs and deliver a more responsive web experience. More business than ever is done in branch offices and remote sites, but fewer and fewer IT resources (applications, personnel, servers, etc.) are hosted there. Applications are being consolidated (sometimes centralized, sometimes outsourced) – cost is a driver, but compliance is the catalyst. In many cases, a consolidated application translates to a poorly performing application. Long distances between users and applications, skinny/latency-prone network pipes, and applications and protocols stretched beyond their design limits mean poor application performance at remote sites. These issues are exacerbated by the introduction of additional bandwidth-hungry, latency-sensitive applications such as voice-over-IP (VoIP) and video. The industry response is predictable – accelerate the traffic. While appropriate at a high level, the rush to a solution has left out some important questions – e.g., should everything be accelerated? If not, which applications are key? How are they evolving? What about encryption? How are networks evolving? Does MPLS or going directly to the Internet from remote sites change things? Given the significant deployment efforts associated with rolling out acceleration technology, these questions merit consideration. Any solution under consideration to accelerate applications should be considered with the answers to the above questions in mind. Acceleration technologies range from compression to caching, to bandwidth management and protocol optimization. All of these techniques have benefits, but for a given application, some improve performance more than others. Each user and application combination has an ideal set of acceleration techniques – apply the wrong techniques and performance benefits can be nullified. Enterprises (both private and public sector) need all of the techniques mentioned above for the array of applications deemed important to the business (file services, e-mail, web, secure web, video) – but what about the countless “applications” that run on the enterprise network that are not business-related, or worse – harmful to the business? Given that ~30% of enterprise network bandwidth is consumed by unauthorized applications (web advertisements, inappropriate web surfing, P2P, Skype, spyware, etc. ), removing the undesirable can be as important as accelerating the desirable. Unmatched auto-detection of both applications and Web content categories makes Blue Coat PacketShaper a complete visibility and control solution for today’s Web-heavy traffic. PacketShaper lets you measure network application performance, categorize and manage Web traffic based on its content, guarantee quality-of-service (QoS) for preferred applications and content, and contain the impact of undesirable traffic. Application Performance Monitoring Module: Discover and monitor more than 700 applications with deep Layer 7 deep packet inspection for an accurate picture of application traffic, plus tens of millions of Web sites by content category. Standard on all PacketShaper models. 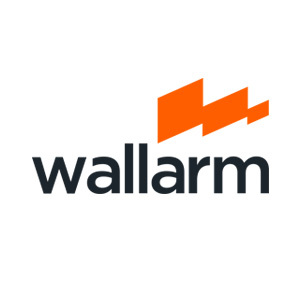 Shaping Module: Guarantee bandwidth for latency-sensitive applications, assign priorities to applications and Web content categories, and contain the impact of lower-priority traffic using flexible policy-based control. Compression Module:Increase WAN capacity while improving application performance with the PacketShaper’s application intelligent Compression Module. Blue Coat PolicyCenter Software: Manage multi-unit PacketShaper deployments with comprehensive control, centralized configuration management, software distribution and Adaptive Response using PolicyCenter. Blue Coat IntelligenceCenter:Software Simplify enterprise-wide application performance management with centralized monitoring, network forensics, and historical performance reports. Get world-class threat protection backed by Blue Coat’s real-time WebPulse Collaborative Defense, including the industry’s only Negative Day Defense, and more than 75 million users globally. ProxySG appliances are part of the Unified Security solution, and provide complete control over all your web traffic—with robust features that include user authentication, web filtering, data loss prevention, inspection, and visibility of SSL-encrypted traffic (including the ability to stream decrypted content to an external server with an Encrypted Tap license), content caching, bandwidth management, stream-splitting and more. Encrypted Tap is a licensable feature for the ProxySG that gives you complete visibility into HTTPS or SSL-encrypted web traffic. This extension can selectively decrypt SSL traffic according to your policies, and hand-off that decrypted network traffic to third-party logging systems for analysis, archiving, and forensics. The Encrypted Tap solution is an integral component to any encrypted management strategy, and offers essential visibility into encrypted web traffic and its hidden potential threats without requiring the re-architecting of the network infrastructure. The solution lets you easily add SSL inspection capabilities to your existing secure web gateway and close the security visibility loophole created by encrypted traffic. ProxyAV appliances work in tandem with Blue Coat ProxySG appliances and support industry-leading anti-malware engines. As an inline scanning device, the ProxyAV appliance analyzes all file downloads from user-authenticated Web 2.0 sites, webmail, file sharing and other methods of content delivery. Blue Coat ProxyAV appliances support four modes of content analysis, which enables you to scan all web traffic and deliver greater protection against potential threats. All without compromising network performance. For further protection against inbound threats, ProxyAV appliances can scan files up to 5.1 GB in size and analyze up to 100 layers of compressed archives. 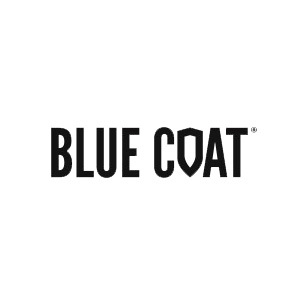 Blue Coat expands its unified security portfolio of enterprise appliances and cloud service to include a virtual appliance for branch offices. The Blue Coat Secure Web Gateway Virtual Appliance (SWG VA) combines the market-leading security capabilities of Blue Coat ProxySG with the flexibility of virtualization to provide a cost-effective enterprise branch office solution. With the new Blue Coat Secure Web Gateway Virtual Appliance, businesses can support Web security and other critical remote office infrastructure on a common platform, reducing costs and IT resource requirements. SWG Virtual Appliance extends the same depth of protection and control delivered by the Blue Coat ProxySG appliances to small branch office locations with space limitations and limited IT resources. 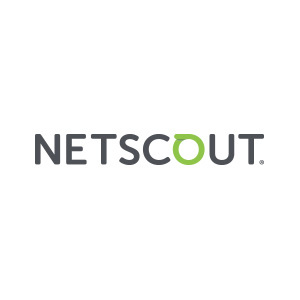 The SWG VA is backed by the WebPulse Collaborative Defense of more than 75 million users which delivers a Negative Day Defense through blocking of malnets. In addition, SWG VA offers all the Blue Coat security capabilities enterprise customers expect, including a wide selection of user authentication, granular and accurate web filtering with multi-dimensional categories and high-performing inspection of SSL traffic. These combined capabilities deliver unbeatable efficiency to help enterprises optimize IT resources and reduce physical footprint. Safeguard Your Sensitive Company Data. ​​Blue Coat Data Loss Prevention (DLP) enables you to detect and block potential data leaks quickly and accurately, all while achieving industry and regulatory compliance. With Blue Coat DLP, you can leverage powerful discovery capabilities to prevent sensitive, unsecured data from traveling across the network and winding up in the wrong hands. Blue Coat DLP is a highly scalable, single appliance solution. Using centralized management features, you can easily create policies that analyze the data source, content, destination and more. Best of all, you can install and start using key compliance and risk mitigation features in one day. Specs shown for the top-of-the-line. Full specs available in the datasheet. ​Specs shown for the top-of-the-line. Full specs available in the datasheet. A new breed of hackers – including cybercriminals, nation states, hacktivists, and insiders – are perpetrating increasingly sophisticated, targeted and effective exploits on enterprises. This shift in the threat landscape requires a new defense that combines prevention with more effective attack detection, preparedness, and response. The Blue Coat Malware Analysis Appliance is part of the Security and Policy Enforcement Center and bridges the gap between blocking known malware, and detecting and analyzing unknown and advanced malware. Integrated with the Blue Coat Content Analysis System and the Security Analytics Platform, the appliance simulates your systems to detect evasive malware and uses custom virtual environments for faster anomaly detection. Without ever putting actual systems or applications at risk, the Malware Analysis appliance provides a map of the damage a threat would cause if allowed to run in your network, so you can contain zero-day threats and unknown malware. The net result: your business can move beyond fear and start focusing on possibilities. The Malware Analysis Appliance is a key component of the Blue Coat Advanced Threat Protection solution. The solution integrates products from the Security and Policy Enforcement Center and the Resolution Center to deliver a comprehensive lifecycle defense that for​tifies the network by blocking known threats, proactively detecting unknown and already-present malware, and automating post-intrusion incident containment. Automatic sample classification and risk scoring by highest matched pattern, along with support for existing malware analysis workflows, allow you to flag detected system events based on potential malicious activity. Real-time incident reporting with detailed analysis of the event provides immediate notification to security analysts while a best-in-class, web-based user interface enables interaction with malware and the ability to click through installers. The web-based dashboard enables easy searches of the malware intelligence and collection database, store samples, reports, and events. Process 55,000 samples per da​​​y with parallel sample processing on up to 55 virtual machines per single Malware Analysis appliance. Multiple VMs with Windows XP and Windows 7 OS’s and unlimited software configurations can be supported. Post-detection and analysis, intelligence on new threats is shared with the Blue Coat ProxySG appliance to move protecti​on to the gateway and with the Security Analytics Platform for​​ eradication of the full scope of the attack. A new breed of hackers – including cybercriminals, nation states, hacktivists, and insiders – are perpetrating increasingly sophisticated, targeted, and effective exploits on enterprises. This shift in the threat landscape requires a new defense that combines prevention with more effective attack detection, preparedness and response. ​With the Blue Coat Content Analysis System – combined with the Malware Analysis appliance and Proxy SG appliance – you can automate advanced threat protection at the gateway to fortify your network against unknown or advanced malware. The net result: your business can move beyond fear and start focusing on possibilities. The Content Analysis System is a key product in the Security and Policy Enforcement Center, that integrates real-time blocking of known advanced threats—through application whitelisting and dual anti-malware signature databases—with dynamic malware analysis, that uses state-of-the art sandboxing technologies. Intelligent Defense In-Depth: Coordinated use of application whitelisting and malware scanning with single or dual anti-malware engines blocks known threats and identifies unknown content for deeper analysis. This efficient and scalable approach to threat detection scales malware analysis of unknown content, delivering rapid, high-performing advanced threat protection. ​Malware Analysis Orchestration: As a broker between multiple sandboxes, the Content Analysis System simultaneously sends unknown or suspicious files to the Blue Coat Malware Analysis Appliance as well as third-party sandboxes – allowing enterprises to optimize their existing investments while building out an in-depth, advanced malware defense. The Content Analysis System is a key component of the Blue Coat Advanced Threat Protection solution. The solution integrates products from the Security and Policy Enforcement Center and the Resolution Center to deliver a comprehensive lifecycle defense that fortifies the network by blocking known threats, proactively detecting unknown and already-present malware, and automating post-intrusion incident containment. Blue Coat Content Analysis System bridges the gap between prevention and incident containment. Use of Secure Sockets Layer (SSL) or Transport Layer Security (TLS) encryption is growing tremendously fast worldwide. Today’s enterprises typically see that 25% or more of their network traffic uses SSL encryption – and this amount is expected to grow more than 20% annually. Encryption protects data from being viewed in transit over the Internet—but it also creates a serious blind spot for threats, malware, Data Loss Prevention (DLP) and other regulatory or compliance risks. You need to address this dilemma and establish a comprehensive encrypted traffic management strategy, that addresses acceptable-use policies for inbound and outbound encrypted traffic, while considering an extensible architecture that will scale and protect the business while also adhering to compliance demands. The Blue Coat SSL Visibility Appliance is an integral component to any encrypted management strategy, and offers complete visibility into encrypted traffic without requiring the re-architecting of the network infrastructure. The appliance lets you add SSL inspection capabilities to your network security architecture and close the security visibility loophole created by encrypted traffic. It enables products like next-generation firewall (NGFW) and intrusion prevention systems (NGIPS) with complete visibility into both SSL and non-SSL network traffic—and increases their applications’ effectiveness and performance. A powerful, purpose-built encrypted traffic management platform that offers more than 10 times the performance of competitors and scales to meet the most demanding enterprise needs. Non-SSL/TLS traffic flows through at high speed and low latency to minimize delay for business applications like VoIP. An easy-to-use policy-enforcement point for controlling SSL/TLS traffic going in and out of the enterprise. These policies can be customized per organizational needs – for example, “do not encrypt all financial or banking traffic going out of the business” – and utilize Blue Coat’s market-leading Global Intelligence Network to exchange and update threat and malware knowledge in real-time across the globe. ​ ​An adaptable security solution that enhances DLP solutions with visibility into previously hidden communications to better expose data leaks and exfiltration. This helps the SSL Visibility Appliance support regulatory compliance by providing company-wide visibility into all networked traffic and data – encrypted and otherwise. Detailed, customizable reporting provides visibility into web traffic and granular web application and operation controls. IT administrators have actionable intelligence to instantly create and apply new policies to all users, including roaming workers on external networks. This security service leverages Blue Coat’s proven security technology and WebPulse collaborative defense of over 75 million users to provide comprehensive protection against web-based threats for all users regardless of location. Just as important, the Blue Coat Cloud Service identifies and categorizes new web content in real time with 99+% accuracy. And rest assured, knowing that the Blue Coat Cloud Service is backed by our guaranteed 99.999% uptime agreement. See All. Know More. Respond Faster.​ Today’s sophisticated malware and zero-day attacks take only seconds or minutes to compromise a target, but can take weeks, months or longer to discover. Like a security camera, the Blue Coat Security Analytics Platform and Blue Coat ThreatBLADES reduce corporate risk by delivering full network security visibility, advanced network forensics, and real-time threat detection for all network activity. This enables enterprises to identify and detect advanced malware crossing the network and analyze and contain zero-day attacks and APTs—while allowing comprehensive forensic investigations and incident response to swiftly resolve security breaches. The Security Analytics Platform is easily deployed anywhere within your network—either as a pre-configured appliance, a virtual appliance, or software on your own hardware. The platform delivers high-performance analytics via 2-10 Gbps lossless packet capture and indexing rates; massive scalability and add-on capacity; and centralized management, so you have full 360 degree visibility into thousands of network segments from a single pane of glass. Your existing security tools gain the much-needed context and content needed to empower your team to identify and address security issues quickly and thoroughly. An integral part Blue Coat’s Advanced Threat Protection Lifecycle Defense, the Security Analytics Platform helps you protect your workforce and business-critical systems and constantly improve your security processes. SOTI MobiControl manages all stages of mobile device deployment to provide seamless enterprise mobility management. MobiControl delivers simplified, broadened and accelerated mobility endpoint management by leveraging the latest developments in enterprise mobility management. ​ Manage all devices from a single-pane of glass. Change the traditional workplace to an on-demand, virtual environment accessible at anytime, anywhere, and from any device. Custom application catalogs ensure all employees have secure and easy access to enterprise and 3rd party applications. Elimination or minimization of common mobile device deployment and management tasks, allowing rapid zero-intervention provisioning (regardless of size or location), policy administration and the ability to assign configurations over-the-air based on a broad range of criteria or LDAP attributes. Rapid, out-of-the-box staging and provisioning with integrated MobiControl Stage to get employees productive sooner. Reduced time for device provisioning by upwards of 90%. Quick device provisioning and remote support for Zebra/Motorola peripherals. SOTI offers the industry’s tightest integration with Zebra connected peripheral devices, minimizing down time with the ability to manage device profiles and spin up new devices remotely. Stronger security and compliance with corporate and regulatory policies with ability to apply same policies across multiple OS’s and endpoints. SOTI MobiControl also supports the broadest selection of Android devices. 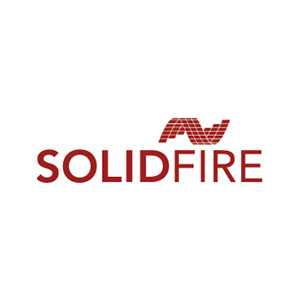 With Blitfire 10X technology, SOTI MobiControl enables 10 times faster remote control performance to accelerate remote control and help desk performance. Remote help desk capabilities help reduce downtime, improve mobile support processes, and reduce costs. Best-in-class authentication, certificate management and data encryption provide enterprise IT departments with peace-of-mind that their devices and data are never compromised. The ideal platform for securely distributing and managing corporate content to your mobile workforce. Administrators can create email sharing and forwarding policies to protect against data leakage and inadvertent disclosure of sensitive company information. Best-in-class user experience that optimizes device management across operating systems using advanced profiles and policies. Significantly enhance productivity and reduce the average length of a support call from hours to minutes. Advanced remote control technology enables technicians to support end-user devices to improve the overall experience. Reduce overhead costs by eliminating the need to pur​chase hardware or server software. Enhanced security for compliance w​ith PCI, HIPAA and SOX with encryption algorithms that have been FIPS 140-2 certified. SOTI MobiScan is an out-of-the box solution which allows for rapid configuration and deployment of mobile devices. MobiScan enables IT administrators to configure the network settings of the device OTA (Over the Air) and install the MobiControl or MobiAssist device agent respectively. Enable IT administrators to configure their network settings right “Out-of-the-box” by scanning a series of customized set of barcodes. MobiScan allows for reduced deployment and configuration time by offering a rapid configuration tool with an easy to use Interface. MobiScan integrates with SOTI MobiControl and MobiAssist, adding the ability to manage multiple devices from a single management or helpdesk console. Take advantage of industry leading technology at no cost to the end user or hardware manufacturer. MobiScan is 100% free to preload and use on SOTI certified hardware. Use the Barcode generator application to remotely create barcodes and encode the necessary network settings according to that profile. Password protect barcode data with AES 256 encryption and force user input data to confirm configuration settings on device level. Reduce your mobile workforce’s downtime with real-time remote Help desk support. Easily manage and support your entire fleet of mobile devices through one central point. Easy-to-use console enables your IT administrators to leverage all the advanced functionalities intuitively. Troubleshoot technical issues remotely in real-time, eliminating costs of sending device off-site for remediation. Full feature-set and competitive pricing allow you to achieve high ROI within a short time frame. Now you can operate your Samsung Android device from your desktop or notebook computer in real time, no wires required! Enhance your Android experience by using the screen and keyboard of your desktop computer to chat with your friends. Deliver captivating presentations, demonstrations or remote training by projecting your Android device onto a larger display or projector, seamlessly over Bluetooth, Wi-Fi or USB. Elevate your presentations with real-time remote control access to your device to fully interact, view and present with complete confidence. Use your desktop PC to quickly interact with your Android device to enter text and transfer data. Take advantage of the easy to use Ribbon Interface with quick-access icons. Connect your device via Wi-Fi, Bluetooth, or USB is quick and easy, allowing you to be up and running with Pocket Controller in minutes. Built-in connection authentication ensures authorized access to the device. Now you can use BlackBerry Messenger from your desktop or notebook computer. Enhance your BlackBerry experience by using the screen and keyboard of your desktop computer to BBM with your friends. Rest your thumbs, type at full speed, get SOTI Pocket Controller-Pro for BlackBerry today! Easily view and control your Blackberry smartphones from your PC! Use with web-conferencing to deliver training sessions to remote mobile users. Display your BlackBerry on a projector or in a web presention via your desktop / laptop. Automatically or manually synchronize your data files between your PC and mobile device. Use your desktop PC to quickly and accurately interact with your BlackBerry. Transfer Files between your PC and BlackBerry using the Explore Tool. Pocket Controller Pro for Windows Mobile and Windows CE is the best-selling Productivity, Presentation, training and Synchronizing tool for salespeople, developers, reviewers, mobile hardware/software trainers, and regular mobile device users around the world. Enhance your device management and trouble shooting performance with real-time drag and drop functionality. Display your Windows mobile device on a projection system for optimal viewing of mobile presentations. Connect your device via Wi-Fi or USB, and with a few simple clicks, you will have complete control over your Windows mobile device. The end user authentication market space is being subjected to a “perfect storm”. The rapid push of the Internet into the developing economies is fueling a rapid increase growth in global e-commerce. These developments in turn are fueling the relentless campaign of cyber-criminal exploits against end user accounts and businesses. One by one, less robust authentication technologies relying on strengthening the use of usernames and passwords have been compromised. Something better is needed. That something is Authentify xFA. For an Enterprise who recognizes that the simple username and password system for accessing wired properties is broken, but must still have user friendly security, Authentify xFA’s cloud-based solution is the only one to offer the strength of digital certificates coupled to a voice biometric delivered in an elegantly simple mobile app. Instead of remembering passwords, the end user can wield a validated digital credential, tied to them by their voice biometric. The user interface is a simple to use mobile app. The Authentify xFA service that powers the app shields the end user and the Enterprise from the complexity of deploying and using digital certificates and voice biometrics. More importantly, for user communities with users who do not have smart phones, Authentify can offer voice biometrics via standard mobile phones or landlines. The Enterprise can still deliver a more uniform and secure authentication process. ​Authentify 2CHK® is an innovative transaction “authenticator”. For financial services firms who must protect their customers from man-in-the-middle and man-in-the-browser attacks, 2CHK offers a secure communication channel to their customers via their phones, or a secure second channel to the user’s desktop. Authentify 2CHK will display transaction details for end user review and approval before final execution. If the details do not match what the user expected, the user can cancel the transaction via 2CHK. Authentify’s Out-of-Band authentication (OOBA) provides corporations with a cost-effective, user-friendly approach to Identity & Access Management. Authentify employs a process requiring the user’s synchronized exchange between the Internet and their phone to provide powerful out-of-band authentication. This convenient method of user verification will enhance security in every identity and access management scenario, as well as save valuable time and resources. ​Enrollment. The Authentify process can verify a new user’s identity and provide an audit trail of the enrollment process. Emergency Access. Authentify can provide temporary access by substituting for a missing or damaged credential or can restore access, verifying identity before a user can reset his password. Out-of-Band Authentication (OOBA) employs separate communication channels, at least one of which is independently maintained and trusted to authenticate an end user. Authentify engages the user’s online session and their telephone in a simultaneous exchange. Users verify their identities by demonstrating their ability to control a trusted phone; a process for providing easy access without sacrificing security. Resetting account passwords represents a crucial security event for online customer accounts. With online criminals gaining easy access to customer generated passwords and other account information, it is nearly impossible to ensure that delivering a new password through email or other online mechanisms is secure. Authentify’s password reset application combines true out-of-band safeguards with real-time delivery to produce the most secure and convenient method of resetting account access. 2 Factor Authentication or 2FA is the security term for providing two different form factors of identification for verifying an identity or authorizing an action. Authentify enables online financial services firms to employ their online user’s telephone, something they have, as the second authentication factor. A phone call synchronized to an online session can be used as part of an online account activation, a regular part of a secure logon, a transaction verification or any account activity associated with higher risk. ​Authentify’s two factor authentication phone services are invoked by an online property as a Web service. When using an account protected by Authentify, a user will logon to their account as they normally do. If they are logging on from an unfamiliar location, initiating a larger than normal transaction or attempting something viewed as higher risk by the bank, the bank’s server will send a request for a call via a secure Internet connection to Authentify. The request contains just enough information for Authentify’s service center to place a phone call. No Personally Identifiable Information (PII) or account specific information need change hands between your institution and Authentify. Authentify will place the call and communicate the outcome of the call back to the institution. User follows instruction rec’d during call. What are the benefits of using an end user’s telephone as part of an authentication and security process? Employing an end user’s telephone as part of a logon or other security process means there is no software involved for you or your users, nothing to deploy, no training required and the process will work anywhere there is phone service. Control access to your VPN with 2FA. Ensure secure access from anywhere, anytime not to just anyone! Users seeking to logon are authenticated via an out-of-band channel using a second device. The Authentify process transforms any device at which the user can be reached via voice, 3G/4G, or other data channel into a powerful security tool. Authentify’s phone-based out-of-band authentication (OOBA) process is a popular way to add 2 Factor Authentication (2FA) as a step up process to Virtual Private Network (VPN) logons. Some call this 2 Step Verification. In this authentication schema, the end user’s telephone becomes a proxy for other form of a security credential. Using the end user’s telephone or other smart device in this fashion for VPN access requires prior knowledge of the end user’s telephone number. The end user’s telephone number must also be added/included as a field in their normal LDAP accessible database or Active Directory user record. The Authentify service and the subsequent telephone call are invoked as a Web service. This lightweight RESTful architecture requires the VPN Gateway to be able to communicate with Authentify via an HTTPS Internet connection. To achieve the https communication, Authentify provides software for installing a RADIUS communication proxy on a WIN OS server in the network and the RADIUS proxy manages the LDAP communications with your directory server. The diagram below offers a high level logical diagram and sequence flow of the authentication process. The VPN gateway passes this information to the Authentify 2FAV Proxy™ application. The Authentify 2FAV Proxy™ searches the appropriate directory service for a user’s telephone number. The Authentify OOBA Service contacts the end user’s telephone or app on their smart device. The Authentify OOBA Service synchronizes a voice or push button exchange with the end user. The 2FAV Proxy™ communicates the success or failure of that authentication exchange to the VPN Gateway. The end user is granted or denied access accordingly. Employing the end user’s telephone as a second authentication factor for VPN’s offers a number of advantages. The most obvious, an end user often protects and takes better care of their telephone than they may any other physical credential. The process also works globally. Anywhere a user can be reached by phone, they can be authenticated. The audit trail captured via the telephone will also help meet any compliance requirements you may have to meet and is readily accepted by auditors. Man-in-the-Middle and Man-in-the-Browser attacks are used to intercept transactions “in progress” and manipulate the details without the legitimate account holder’s knowledge. Typically, the amount of a transaction and the destination account are changed. The user believes they have sent $ 98 to the electric company, instead $980 have been directed to a different account. Attacks and exploits at the transaction level have become serious enough to warrant specific mention in the July 2011 FFIEC Supplement to Authentication in an Internet Banking Environment. Phone-based, out-of-band authentication is ideally suited to validate a transaction, or the addition of a new payee to an electronic funds transfer enabled account. The cyber-criminal may be able to steal account credential or re-direct a payment, but it raises the bar if they must also coordinate an attack against the legitimate account holder’s telephone. In the simplest scenario, when an account is being used and a transaction amount is larger than ‘normal’ or a new payee is encountered on the bank side, the end user’s telephone will ring. The legitimate user will hear the transaction details “vocalized” by a human voice, (no cyber-voices with Authentify applications). For example, the user will hear “Hello, this is XYZ financial, if you are sending nine hundred and eighty dollars to an account ending in 4521, please enter the confirmation code displayed in your browser window”. Kaspersky TOTAL Security for Business delivers rigorous IT security for more nodes on your network – including desktops, file servers, Internet gateways, collaboration systems and mobile devices. By combining world-class protection and far-reaching systems management capabilities, Kaspersky TOTAL Security for Business gives you granular control over a wide range* of Kaspersky security and systems management functions – via the Kaspersky Security Center unified management console. For businesses that demand world-class protection technologies across every major node on their network, Kaspersky TOTAL Security for Business delivers our most comprehensive business security solution. In addition to anti-malware for workstations, file servers and mobile devices – plus specialist encryption technologies, flexible endpoint controls and efficiency boosting systems management tools – Kaspersky TOTAL Security for Business provides reliable protection for mail servers, collaboration servers and traffic flowing through Internet gateways. Kaspersky is widely recognised for its rigorous anti-malware technologies. Our latest anti-malware offering combines signature-based, proactive and cloud-assisted technologies – to provide your business with even better defences against known, new and emerging threats. Although shared storage offers many advantages, the presence of one infected file can spread malware across the corporate network. Kaspersky TOTAL Security for Business includes anti-malware protection for file servers – to help your business to benefit from shared storage, without compromising on security. As typical business IT networks become more complex – so does the task of managing them. Kaspersky TOTAL Security for Business includes far-reaching systems management capabilities – to ease the load on your IT team and reduce administration costs. From automatic inventories of all hardware and software on your corporate network, through to vulnerability scanning & patch management, plus system provisioning, Kaspersky’s systems management tools help to make complex IT environments much easier to manage. There have been countless incidents whereby a lost laptop, mobile device or removable storage device has led to a leakage of confidential business data. The financial penalties and loss of reputation can have devastating effects on a business. Kaspersky TOTAL Security for Business includes powerful data encryption technology – so the loss of a device is far less likely to lead to a damaging leakage of business information. While Kaspersky’s advanced firewall offers another level of protection – effectively controlling inbound and outbound traffic – Kaspersky’s flexible control features help your IT team to manage usage of the web, devices and applications. With Application Control, Device Control and Web Control, your IT team can easily manage which applications are permitted to run on your network, whether specific devices are granted access to your systems and how your employees are permitted to use the Internet. More businesses are realising the benefits of rolling out a Bring Your Own Device (BYOD) initiative that lets employees use their personal mobile devices for business activities. Because Kaspersky TOTAL Security for Business includes both mobile security and mobile device management (MDM), you can control and monitor the security of mobile devices that are given access to your corporate systems and data. Kaspersky TOTAL Security for Business offers easy-to-manage anti-malware and anti-spam protection for mail servers. In addition to delivering efficient, optimised virus scanning, Kaspersky provides intelligent spam filtering – to eliminate dangerous or distracting spam emails and reduce the amount of traffic on your corporate network. Kaspersky TOTAL Security for Business includes anti-malware software that protects web traffic flowing through most popular, Windows-based or Linux-based Internet gateways. By automatically removing malicious programs and providing your users with secure Internet access, Kaspersky helps to ensure your employees can work more productively. Kaspersky TOTAL Security for Business includes anti-malware protection for SharePoint platforms – delivering a high detection rate, ease of management and flexible reporting. It provides content & file filtering capabilities that help to enforce internal collaboration policies and prevent the storage of inappropriate content on your systems. Kaspersky Endpoint Security for Business ADVANCED delivers efficiency boosting systems management capabilities plus an array of security technologies – and you can control it all from one management console. ​ Because malware is becoming increasingly sophisticated, traditional defences are no longer sufficient to ensure adequate protection. In addition to award-winning anti-malware, Kaspersky Endpoint Security for Business ADVANCED includes vulnerability scanning and patch management technologies – to help eradicate vulnerabilities within operating systems and application software. Furthermore, flexible encryption functionality helps to protect corporate data in the event of a laptop or removable storage device being lost or stolen. Kaspersky Endpoint Security for Business ADVANCED includes Kaspersky Lab’s latest anti-malware technologies that combine signature-based, proactive and web-assisted protection – for effective, multi-level defence. With automatic updates from the cloud-based Kaspersky Security Network, Kaspersky delivers a rapid response to new and emerging threats. Cybercriminals are increasingly using unpatched vulnerabilities – in operating systems (OS) and applications – to attack corporate systems and steal data or money. Kaspersky’s vulnerability scanning and patch management capabilities provide centralised control over the detection of application and OS vulnerabilities – and the prioritisation of application / OS patching. Kaspersky Endpoint Security for Business ADVANCED plays a valuable role in helping to eliminate the risk of criminals exploiting vulnerabilities within your systems. With its strong encryption algorithm, Kaspersky’s data encryption technology can help to protect your sensitive business information – and your business reputation – in the event of data or devices falling into the wrong hands. Unlike many other data encryption products that can be difficult to deploy and require a separate management console, Kaspersky’s encryption technologies can be controlled from the same easy-to-use management console that manages virtually all other Kaspersky protection features – so it costs you less time and money to keep your data safe. As business IT networks continue to become more complex, the task of managing all of the systems your business depends on has become much more difficult and time consuming. Kaspersky Endpoint Security for Business ADVANCED simplifies a vast range of systems management tasks – including configuration, deployment and troubleshooting. Application Control, Device Control and Web Control features give your IT team granular control over which applications are able to run on your systems, which IT resources an application can access and how employees are permitted to use removable devices and the Internet. Adopting a Bring Your Own Device (BYOD) policy can generate cost savings and productivity gains. However, BYOD can also bring significant security risks. By integrating mobile security and mobile device management (MDM), Kaspersky Endpoint Security for Business ADVANCED delivers the protection and ease of management you need to let mobile devices access your systems and data, without introducing security risks for your business. Kaspersky Endpoint Security for Business ADVANCED is preconfigured to help you manage and protect your systems – as soon as it’s installed. Furthermore, because it’s supplied with Kaspersky Security Center – our easy-to-use, unified management console – your IT team can quickly introduce new systems management policies and security configurations. Whenever you need to add further security solutions to your Kaspersky Endpoint Security for Business ADVANCED solution, just adding one of Kaspersky’s Targeted Security Solutions can give you fully-integrated protection for storage, virtualisation, mail, Internet gateways or collaboration. For our ultimate business security solution, choose Kaspersky TOTAL Security for Business. In addition to award-winning anti-malware protection technologies, Kaspersky Endpoint Security for Business CORE also includes features that help to ease the load on your IT team. Not all features are available on all platforms. By combining signature-based detection, plus pattern-based, proactive defences and cloud-assisted technologies, Kaspersky Endpoint Security for Business provides greatly enhanced detection of malware – including protection against new threats that have not yet been recorded in signature databases. Kaspersky’s advanced firewall – together with our Host-based Intrusion Prevention System (HIPS) – helps to protect workstations and servers on your network… to prevent intruders from accessing your systems and stealing or corrupting your business data. Many millions of Kaspersky users have ‘opted in’ to let the cloud-based Kaspersky Security Network (KSN) automatically gather information about possible malware infections or suspicious behaviour from their systems. Over 25 million samples are received each day and this unparalleled level of intelligence from the field – received in real-time – enables Kaspersky’s experts to analyse new IT security threats and provide solutions more rapidly. Your business can fully benefit from this cloud-assisted capability… even without you having to opt in. You can tailor your Kaspersky Endpoint Security for Business CORE solution to meet your specific IT security needs. By adding one or more Kaspersky Targeted Security Solutions, you can add fully-integrated protection for storage, virtualisation, file servers, mobile devices, mail, Internet gateways or collaboration… plus wide-ranging systems management capabilities. Furthermore, whichever Kaspersky Targeted Security Solution you choose, you’ll still be able to manage your entire Kaspersky security via one integrated management console – Kaspersky Security Center. With an increasingly mobile and diversified workforce, most businesses need to extend their security far beyond traditional boundaries. In addition to delivering Kaspersky’s award-winning anti-malware technologies, Kaspersky Endpoint Security for Business SELECT adds mobile security, file server security and flexible control technologies that help you to ensure compliance with your security policies. Kaspersky’s anti-malware technologies deliver multi-layer defences to protect your systems and sensitive business data from today’s increasingly sophisticated threats. With a combination of signature-based, proactive and cloud-enabled technologies – plus special features including our Network Attack Blocker and two-way firewall – Kaspersky Endpoint Security for Business SELECT does more to keep your business secure. A single infected file on one of your servers has the potential to affect every computer on your corporate network – and that can severely damage business productivity. Kaspersky Endpoint Security for Business SELECT includes essential anti-malware for file servers – to protect servers running Microsoft Windows, Linux and Novell NetWare against malware. Multi-level mobile security technologies help you to defend your business against the security risks that can result from enabling mobile access to your corporate systems. Kaspersky Endpoint Security for Business SELECT, can help you to benefit from the cost savings and productivity gains that a Bring Your Own Device (BYOD) initiative can deliver – while Kaspersky technologies protect you against viruses, spyware, Trojans, worms, bots and a wide range of other threats. With integrated mobile security and mobile device management (MDM), Kaspersky Endpoint Security for Business SELECT makes it easier to control how mobile devices access your business systems. As soon as a mobile device appears on your network, it’s visible to your administrators – so they can rapidly start managing the device’s security and how the device interacts with your systems. Kaspersky’s Application Control, Device Control and Web Control technologies help to deliver a much deeper level of defence for your data and systems – so your IT team can easily control how applications run and manage how employees use the web and removable devices. Kaspersky Endpoint Security for Business SELECT helps you to enforce your corporate security policies – across your business and your workforce. As soon as Kaspersky Endpoint Security for Business SELECT is installed on your corporate network, Kaspersky technologies are ready to start protecting your business. Furthermore, because it’s supplied complete with Kaspersky’s centralised management console – Kaspersky Security Center – it’s easy to tailor the configuration of all Kaspersky security technologies your business runs… including any Kaspersky Targeted Security Solutions that you add. If you need to add further security or management capabilities for your IT environment, Kaspersky’s Targeted Security Solutions offer a range of additional technologies that can complement your Kaspersky Endpoint Security for Business SELECT solution. You can choose to add protection for storage, virtualisation, mail, Internet gateways or collaboration… or wide-ranging systems management functionality. ​​Because a security solution represents an investment for several years, Stormshield Network Security products offer the requisite modularity and features for keeping abreast of future changes in the information system. In a “Bring-Your-Own-Everything” world, it has become even more of a challenge keeping users in check while developing an agile corporation that moves with the times. The only way for security to be effective is when it is seamless for both users and administrators. Regardless of its specific nature, information is mobile: your sensitive data travels between nomadic work stations; it is transferred using removable peripherals then may be sent via email. In the office, data is stored on file-servers or document management tools which, themselves, are sometimes exported for the purpose of external contracts. Most projects today in some way are collaborative requiring data-sharing. With data mobility such as it it today, who can ensure the privacy of your data, be it related to R&D, Finance, HR or your clients? Who is protecting you against external interception or internal indiscretions? Stormshield Data Security allows you to create secure collaborative spaces within which confidentiality is the rule. Designed by the data-owner, these areas are only accessible to explicitly-authorized personnel. All data therein is encoded, including emails, files, shared directories and even Microsoft SharePoint type collaborative portal inputs. Ergonomic and transparent to users, Stormshield Data Security secures your projects intuitively and quickly. Allows members of collaborative work-spaces to share and store data confidentially. A completely independent infrastructure: IT administrators and hosts no longer have access to your sensitive information. An easy-to-use solution provides security to all when integrated into the latest tools: Outlook, SharePoint, Windows 7, etc. A top-level cryptographic implementation, EAL3+ certified, qualified by ANSSI/NATO and suitable for the protection of “Restricted Distribution” data. Corporations today have to contend with advanced attacks that grow in number and intelligence, the consequences of which are often drastic. Now more than ever, businesses are forced to adapt to this context and come up with innovative ways to protect and monitor the network. For the past 11 years, the Stormshield Endpoint Security suite has consistently kept threats at bay thanks not only to a comprehensive suite of modules for general workstation security, but also to an exclusive technology that protects against APT exploitation with proven effectiveness in actual real-life conditions. Proactively blocking 93% of Windows XP vulnerabilities, Stormshield Endpoint Security boasts the best verifiable statistics on the market, while keeping false positives extremely low. Drawing on a unique system analysis technology, Stormshield Endpoint Security is the only solution that provides proven protection from both known and unknown targeted attacks and APTs. 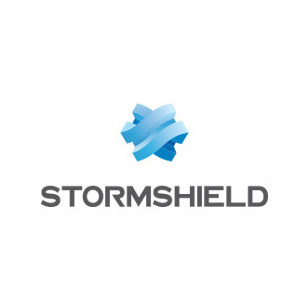 Seamless and perfectly adapted for large-scale deployments, Stormshield Endpoint Security integrates all the security services needed to protect workstations and servers, ranging from peripheral device control to the encryption of disks, into a single agent. The only anti-APT technology with a proven track record against the exploitation of uknown vulnerabilities. A global approach to the issue of data leaks through the Device Control, APT Protection and Encryption modules. A Core Defense module covering all basic security needs such as application control, firewall, HIPS, NIPS, etc. Security policies capable of dynamically adapting to the context of each individual workstation. Easily integrated architecture, agents that are simple to deploy and a centralized administration console. InfoWatch Traffic Monitor Enterprise is a comprehensive solution for data protection, loss prevention and monitoring the transmission of sensitive information outside a company, as well as for the protection of the company from internal threats. You simply go to the website, load your source code and immediately receive a result that does not need a computer science degree to understand. You find the nasty surprises left by insider programmers within minutes. ​There are no expensive installations and unwarranted expenses for external code auditing. ​​​ The product is Static Application Security Testing (SAST) code analyzer. Because of an integrated code normalizer it does not require special code preparation and is, theoretically compatible with any business application programming language. At the moment InfoWatch APPERCUT supports ABAP/4, Java,PeopleCode. We also available for additional language normalizer development, should your company require it. The original publisher is, of course, responsible for the quality of published business applications, while the mass usage guarantees public control. It is also nice to believe that government certification also helps to keep the software “clean”. And yet, the full nature of tailored and modified products or those with outsourced “polishing” done to them is a mystery known to the programmer alone. What is stopping a developer from secretly introducing undocumented features (backdoors) to the final code? Nothing but his own conscience and principles. Our entire approach mimics an attacker’s mindset. We perform assessments pit-crew style, which enables unparalleled efficiency and vulnerability coverage. Nobody’s security is perfect. WhiteHat takes the perspective of your adversary to find your weaknesses and help you fix them before the bad guys use them against you. Sentinel, WhiteHat’s Dynamic Application Security Assessment (DAST) solution, offers a radically different approach for identifying, assessing and protecting your websites – even those you didn’t know existed. Sentinel Source, WhiteHat’s Static Application Security Testing (SAST), enables secure coding across the Software Development Lifecycle (SDLC). With WhiteHat Sentinel Source you can assess source code faster than with any other solution in the market – roughly one million lines of code in under 30 minutes – on a daily or on-demand basis. Since even binaries can be reverse engineered, Sentinel Source tests your source code within your own environment. Your source code does not leave your control – ever. We believe this is the best way to ensure our customers maintain control of their Intellectual Property. Unlike traditional mobile app testing, WhiteHat takes the perspective of your adversary to find your weaknesses and help you fix them. WhiteHat offerings are easily integrated across the mobile security spectrum to meet your specific needs. A recent report by Ovum Research predicts that a growing number of businesses will rely upon mobile devices, making them an easy target for hackers. Gartner reports that two-thirds of mobile apps will fail basic security tests this year alone. Securing your mobile app might seem time consuming when you’re trying to get your app to the market, but breaches can be disastrous. The engineers in WhiteHat Security’s Threat Research Center (TRC) serve as an extension of your own mobile security team to provide on-demand answers, actively help you manage risk, and build proof of concepts for mobile exploits. A10 Thunder™ TPS product line of Threat Protection Systems provides high-performance, network-wide protection against distributed denial of service (DDoS) attacks, and enables service availability against a variety of volumetric, protocol, resource and other sophisticated application attacks. The Thunder TPS product line is built upon our Advanced Core Operating System (ACOS) platform, with A10’s Symmetric Scalable Multi-Core Processing (SSMP) software architecture that delivers high performance and leverages a shared memory architecture to provide efficient tracking of network flows, as well as accurate DDoS protection enforcement for service providers, Web site operators and enterprises. Multi-level DDoS protection for service availability: Organizations are increasingly dependent on the availability of their services, and on their ability to connect to the Internet. Downtime results in immediate revenue loss. Thunder TPS protects against multiple classes of attack vectors, including volumetric, protocol, resource and advanced application-layer attacks, which are detected and mitigated to prevent a service from becoming unavailable. In addition, customized actions can be taken against advanced application-layer (L7) attacks as needed with our aFleX deep packet inspection (DPI) scripting technology. Performance scalability meets growing attack scale: The networking industry, as well as business analysts, are seeing an increasing trend in DDoS attacks. Attacks are not only occurring more frequently, but with greater volumes and increased sophistication. With DDoS mitigation capacity ranging from 38 to 155 Gbps, (and up to 1.2 Tbps in a cluster), Thunder TPS ensures that the largest DDoS attacks can be handled effectively. Each Thunder TPS model is equipped with high-performance Field Programmable Gate Array (FPGA)-based Flexible Traffic Acceleration (FTA) technology, to rapidly detect and mitigate over 30 common attack vectors in hardware, without impact to the core system general-purpose CPUs. More complex application-layer (L7) attacks (HTTP, SSL, DNS and more) are processed by the latest Intel Xeon CPUs, so performance scaling can be maintained by distributing multi-vector detection and mitigation functions across optimal system resources. Broad deployment flexibility enables integration: To easily integrate in various networking architectures, a vendor neutral, flexible DDoS mitigation solution is required. With flexible deployment models for in- and out-of-band operations, and routed or transparent operation modes, Thunder TPS can readily be integrated into any network architecture, of any size. And with our aXAPI open RESTful API, Thunder TPS enables integration to your custom or third-party detection solutions. A10 Thunder TPS devices protect critical services in highly efficient hardware form factors, which enables your data center resources to be used productively. The combination of high performance in a small form factor results in lower OPEX through significantly lower power usage, reduced rack space and lowered cooling requirements. A pure IP business telephone system, designed and developed in the 21st Century for organizations requiring between 4 and 100,000 IP, analogue or GSM/3G/UMTS extensions. Completely scalable in design and distributed in architecture, all maximiser systems are available as either traditional modular hardware based systems, or as software applications running under Linux or Apple Mac OS X on standard industry server platforms, or as a virtual Call Server(s) in virtualized IT environments. Embracing open industry standards wherever they exist, all maximiser solutions operate as a single system, no matter how many separate sites, homeworking, remote or mobile employees are encompassed. maximiser is configured and managed as a single system, from anywhere you can gain direct or web access to it, via a standard browser. Supporting rich functionality including a one number, “go any place, reach me any how” Extension Anywhere facility, multi-site hotdesking, voicemail, auto-attendant, unified messaging and call recording as standard, maximiser is just as much at home, and more importantly proves cost-effective, for simple 4 extension “dial-tone” PBX requirements as it does in fully converged, multi-site installations. The innovative architecture utilized by the maximiser business telephone system from SpliceCom, rips-up the conventional rulebook, delivering un- paralleled Total Cost of Ownership and Management – whatever the size of your business. From a simple, small, stand alone telephone system, maximiser scales seamlessly to provide a fully networked, unified communications system, allowing voice, video, IP TV and web-enabled IT resources to share the same underlying network and information. There are no geographic boundaries, the same facilities are available to office based, home working, remote and mobile employees. For the first time, the ability to deploy technology for real business benefit is available to every company – irrespective of size. From affordable entry-level phones, through IP terminals that unify advanced telephony and IT applications at the desktop, to native IP Phone appliactions that run on Smart Phones, Tablets, PCs and Macs; in SpliceCom’s comprehensive PCS telephony family you’ll find the product that’s the ideal match for your specific business requirement – whatever it may be. Designed to complement other market leading and stylish IT equipment on your desktop, SpliceCom’s PCS 5xx IP Phones combine looks, intelligence and desirability in equal measure. 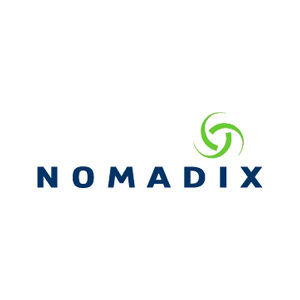 The world’s slimmest desktop IP phones provide easy access to the benefits delivered by maximiser, SpliceCom’s range of innovative and award-winning Unified Communications platforms. Ultra sleek in styling, SpliceCom’s PCS 552, PCS 56x, PCS 57xG & PCS 58xG IP Phones have been designed to look great from any angle – including the back. Utilising a totally sealed enclosure with not a screw in sight, SpliceCom have focused on delivering the same ease-of-use associated with mobile phones to business telephony users. All PCS 5xx IP phones have large graphical displays, intuitive multi-functional context sensitive keys, and bold instantly recognisable icons combining to deliver the ultimate telephony user experience. SpliceCom’s iPCS application takes Office Mobility to its logical conclusion, enabling Apple and Android Smart Phones and Tablets to be utilised as highly featured maximiser business phones – replacing the need for DECT or SIP/WiFi wireless phones. Providing a fully integrated IP Phone solution for the entire workforce, iPCS works in the same way as SpliceCom’s PCS system phones, empowering employees with access to key business features wherever they might be- at their desk or away from it. Downloadable from the Apple App Store as a native iOS application, running on iOS 5 and above, or as an Android app for version 2.3.5 (Gingerbread) or above, iPCS utilises WiFi or 3G connectivity to provide direct integration with SpliceCom’s maximiser Unified Communication/IP PBX/Business Telephony systems. Full control of personal mobility options; diversion for DDI and Groupcalls, the device calls will be diverted to, Do Not Disturb and Out Of Office message. ​Businesses today have to be able to see into the future as well as look at and learn from the past. Vision allows business people to view the information that enables them to improve the way their company operates and the manner in which they serve their customers. Vision gives businesses a dashboard by which they can ramp up the levels of their responsiveness, critical in today’s ultra competitive market place. SpliceCom Vision is a suite of software applications that have been singularly designed to operate with the award winning maximiser Pure IP Business Telephone System. Vision’s design means that in conjunction with maximiser, it operates as ONE entity, providing detailed and intimate information upon which sound business decisions can be based. As maximiser runs as a single system, no matter how many sites it is distributed across or how many home based, remote or mobile employees are connected, Vision is able to collect information on every Department and every individual – wherever they might be. Likewise real- time information can be delivered to department heads and managers totally independent of their location; via their Smart Phones, Tablets and PC web browsers. And as for your workforce, Vision works hard for them too, by offering far greater managed flexibility over the way they choose to handle their telephone calls when they’re out of the office. A10 Networks was founded in 2004 with a mission to provide innovative networking and security solutions. A10 Networks makes high-performance products that help organizations of all sizes accelerate, optimize and secure their applications. A10 Networks was created with the notion of solving business problems through the innovative use of emerging technologies. With the rapid speed of innovation allowed today by advances in communication, customers choose A10 Networks to help their networks keep pace. Founded in 1999, Authentify, Inc. provides automated authentication services for many of the largest online business enterprises operating today. The Authentify service enables organizations to quickly and cost-effectively perform real-time, multi-factor user authentication during an Internet session. By leveraging the familiarity of the telephone networks, Authentify delivers an effective multi-factor authentication process that is practical for business and easy for end users. Authentify’s patented technology employs a message-based architecture to seamlessly integrate with existing online processes developed for e-business, secure information access, or the distribution of security credentials. By synchronizing a user’s web session with an automated telephone call, Authentify makes undeniable contact with the person behind the computer while capturing transaction details for audit purposes. Authentify provides end users with an intuitive authentication process that does not require additional software or training on the user’s behalf. With its multi-language compatibility using landline or mobile phones, Authentify’s service offers a truly portable authentication solution with worldwide reach. Feed their need for a more satisfying experience. More users. More devices. More apps. More content. It all leads to more and more demand for network and application performance. ​ Businesses are turning to Performance Center to get visibility into performance, decide how best to allocate bandwidth, and optimize performance via caching. Anticipate shopper needs: Retailers are turning to Performance Center products to engage customers while they shop in stores—through personalized tips, information, or coupons delivered instantly to their smartphones. Understand bandwidth usage: Performance Center gives customers visibility into how devices are being used, so they can better decisions about how to allocate and/or purchase bandwidth in the BYOD era. Control performance based on business priorities: Apps use a huge amount of the company’s bandwidth—but they’re not always used for business. With Performance Center customers can slow down recreational apps during business hours, and speed up business apps such as SAP, Salesforce.com, and videoconferencing. Optimize performance without increasing costs: Buying more bandwidth isn’t the only way to speed up apps. With Performance Center, customers are taking advantage of caching, stream-splitting, and other technologies to boost the performance of media-rich apps—and saving money. InfoWatch Group consists of four companies within the information security industry: InfoWatch Ltd. (data leakage prevention software), Kribrum Ltd. (social media monitoring and analysis aimed at online reputation management), EgoSecure GmbH (end-point security software), and Appercut (business application source code analysis). InfoWatch Company was founded in 2003 and by today has matured into the leader of the Russian data security market. It occupies about 50% of the Russian market of data leakage prevention (DLP) software and is rapidly expanding its presence in the international markets of Europe, Middle East and Asia. InfoWatch is headquartered in Moscow, Russia. EgoSecure (formerly known as cynapspro) is a Germany-based company, a technology leader in endpoint security and endpoint management serving more than 900 clients in SMB segment. EgoSecure solutions protect and manage the endpoints within corporate network providing all-round protection against the unauthorized release of information or the upload of malware. Kribrum Company was founded in 2010 by InfoWatch and “Ashmanov and Partners” Companies. InfoWatch Kribrum is a cloud-based social media monitoring solution to help companies manage their reputation, improve customer experience and leverage customer opinion expressed online for market-winning product development. Appercut is an innovative technology development company, focused on business application source code analysis, finding malicious backdoors and protecting against insider programmers. The company’s flagship product, Appercut Custom Code Scanner, is a web service, designed for holistic scanning of additions to SAP/R3, Oracle, PeopleSoft Enterprise systems and other business applications in the ERP, Automated Billing Systems, HRMS and CRM segments. With nearly 10 years of extensive real-world software development expertise InfoWatch Group is committed to becoming a leading enterprise-level IT security solution provider on the market empowering its customers with a mixture of world-class technologies and services. 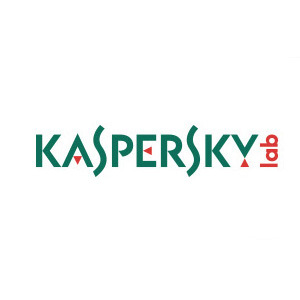 Kaspersky Lab is one of the fastest growing IT security vendors worldwide. 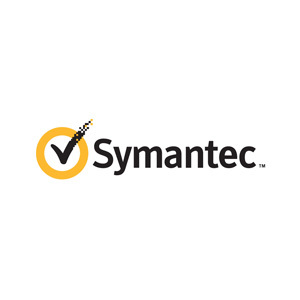 Today it is firmly positioned as one of the world’s top four leading antivirus vendors*. Kaspersky Lab continues to further improve its market position, demonstrating higher growth rates than the market in general. According to the company’s 2011 unaudited financial results, Kaspersky Lab’s global revenue grew by 14% compared to the previous year and reached $612 million. Today it’s the world’s largest privately held vendor of endpoint protection solutions. According to the anti-virus comparatives, KASPERSKY anti-virus rates highly amongst virus scanners in terms of detection rates. KASPERSKY was awarded by pc editor’s choice and it has the industry’s fastest scan times on vista record. According to the users rating KASPERSKY anti-virus is the backbone of pc’s security system, offering real time automated protection from a range of IT threats. SOTI Inc. develops world leading technology that solves the unique challenges involved in managing, securing, supporting & tracking remote mobile & desktop computing devices. Today over 14,000 c​​ustomers around the world in retail, manufacturing, healthcare, government, logistics & numerous other industries rely on SOTI software products within the mobile device management industry. Companies strive to reduce costs by enabling the central management, security & support of remote mobile field-forces. 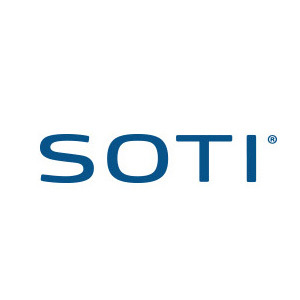 SOTI products currently support devices running Windows desktop and handheld operating systems, BlackBerry OS, Apple iOS and Google Android. SOTI works closely with top mobile device manufacturers such as: Samsung, Microsoft, Intermec, Honeywell, RIM, Motorola, Aruba, Bluebird, Panasonic, ZTE, LG, etc. SOTI’s world-class remote technology is second to none & is licensed by top mobile device hardware & software brands. Arkoon and Netasq, fully owned subsidiaries of Airbus Defence and Space, run the Stormshield brand and offer innovative end-to-end security solutions worldwide to protect networks (Stormshield Network Security), workstations (Stormshield Endpoint Security) and data (Stormshield Data Security). 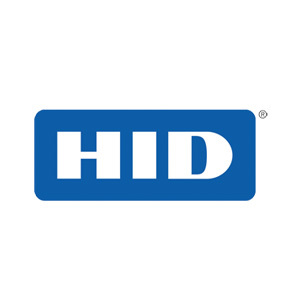 These next-generation trusted solutions, certified at the highest level in Europe (EU RESTRICTED, NATO and ANSSI EAL4+), ensure the protection of strategic information and are deployed through a partner network of distributors, integrators and operators in businesses of all sizes, government institutions and defense organizations worldwide. Helping to secure the Web is a privilege, a responsibility given to only the most passionate, trustworthy, and experienced security professionals on the planet. Every single day, WhiteHat helps protect people and organizations ranging from the largest Fortune-listed corporations to small mom-and-pop shops, non-profit organizations, schools, and far beyond. We protect hundreds of the most recognized organizations on the planet by identifying the vulnerabilities in their websites that the bad guys exploit to cause harm. 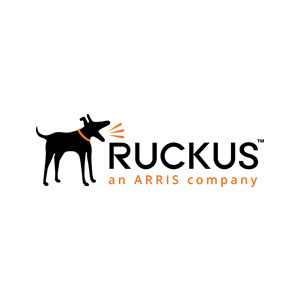 Ruckus Wireless offers a wide range of purpose-built Smart Wi-Fi products for both enterprises and service providers. Completely standards-based, these products are developed using our Smart Wi-Fi technology designed to increase the range, reliability, and performance of Wi-Fi. Its critically acclaimed adaptive antenna arrays use state-of-the-art signal control techniques to automatically adapt to RF interference and enable real-time selection of the best signal path for each Wi-Fi transmission, thereby delivering the best connection possible.